The National Statistics Office data may signal a recovery for the resource-dependent nation, mired in an economic crisis caused by heavy foreign debt, a collapse in its currency and slowing growth in China, its biggest trading partner. “The frontier economy of Mongolia has started to grow and is showing the green shoots of recovery after three years of plummeting growth and recession in the private economy,” World Economics, a London-based research group, wrote on Tuesday. First quarter growth clearly was helped by stronger prices for coal, the main revenue source. The average coal price from Mongolia in March was $62.37 per tonne, compared with $28.60 one year earlier, according to data from China’s customs authority. “Although, we saw some decrease in production of some mining products such as oil and copper, coal production has increased twofold and iron ore threefold,” she said. In the first four months of 2017, coal exports jumped nearly fivefold from a year earlier to $769.8 million, contributing to a 40 percent increase in total export income, the statistics office said. Mongolia’s tugrik currency, which tumbled nearly 25 percent in 2016, strengthened 3 percent against the dollar in the first quarter. 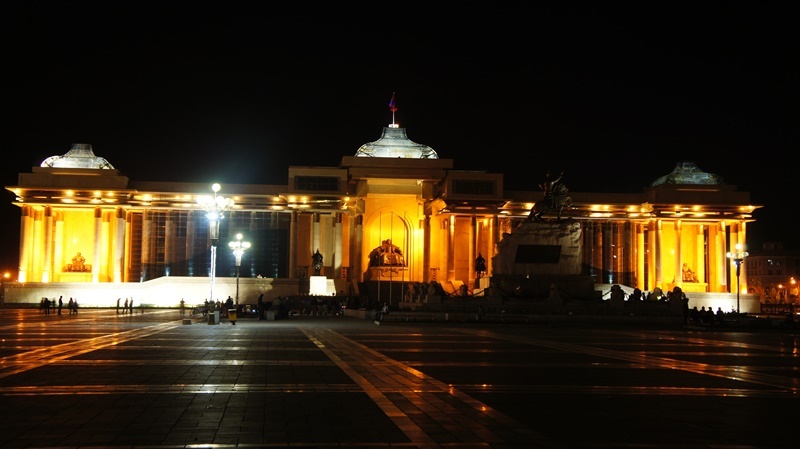 However, economic pressures continue to hurt Mongolia ahead of June presidential elections. At the end of March, annual inflation was 3.4 percent, compared with 1.1 percent at the end of 2016. Unemployment reached 9.1 percent, from 8.6 percent at the end of last year. The Mongolian government has said it expects economic growth of 1.5-2.5 percent this year, while the Asian Development Bank has forecast 2.5 percent. The World Bank and International Monetary Fund have both predicted a 0.2 percent contraction. The IMF board is expected to decide this month on a proposed $5.5 billion bailout for Mongolia. A decision was delayed from April because of legislation, since annulled, that forced some companies to make transactions through Mongolian banks.